Parkland, FL – Millions of women across the nation grabbed their husbands by their wrists and walked them to their nearest car dealership in hopes of exchanging them for a newer model this month. The women were inspired by President Obama’s popular “Cash for Clunkers” program which allows citizens to trade in old models that failed to meet mileage expectations. The newer models are built to last longer and provide greater satisfaction. “I haven’t been happy since I got him,” Arianne Phillips explained as she showed her husband to a car dealer at Jerry’s Nissan just south of the Dairy Queen on 441. 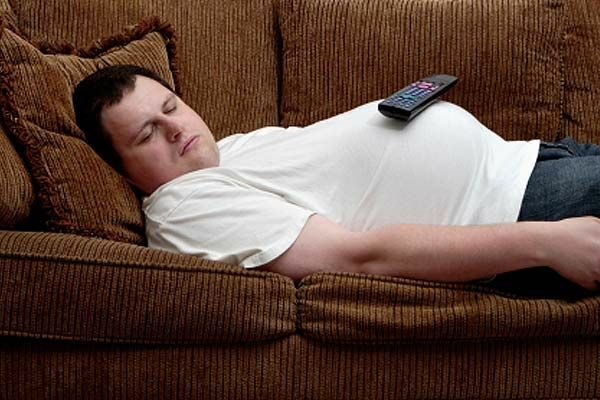 “He sits on the couch, eats chips, and watches the same Sports Center over and over again. He never does a dish and hasn’t changed his t-shirt all weekend. He’s a lemon!” Phillips said as she pointed to yellow sweat stains on his t-shirt. “This clunker hasn’t bought me flowers since our first date,” Sarah Goodwin said as she tried to cut in line in search of a more romantic model. “He keeps me up all night snoring, can’t change a vacuum bag, and our lawn looks like we’re growing corn!” Goodwin shouted as she smacked her husband on the forehead with a rolled up magazine. “We’ve had a lot of women bringing their husbands in this month,” J.M. Lexus owner Mike McCusker said. “There appears to be some confusion over what qualifies as a clunker. McCusker wouldn’t confirm a report that he accepted Larry Bagby, 48, and $13,500 in exchange for a 2009 Lexus RX Hybrid.